Enjoy these fuzzy light particles as they sparkle in different colors. A striking effect, filled with electricity. Take your visual show to the next level with this video loop, useful for any kind of visual performance. 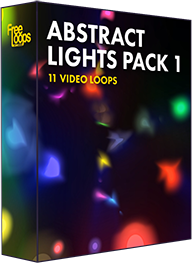 This video loop is part of Abstract Lights Pack 1.